In the thin air of Breckenridge, Colorado, Sara Poidevin was unstoppable in the second and final stage of the women's Colorado Classic. Poidevin soloed to the stage win, overall victory, Queen of the Mountains, Best Young Rider and Sprint titles. “It is exhilarating to take this win for myself and the team,” said Poidevin. “A couple of weeks ago we were close at the Cascade Classic, so to be able to come away with the win today feels good. I attacked on the second to last lap. There was a rider up the road, UnitedHealthcare was chasing, and they had me outnumbered. Heading into the second QOM, I knew I had to give it a go by myself if I wanted a chance at the win. I was able to split up their team on the climb and knew if they were all spread out they couldn’t work together. If I was working hard, then everyone else was working just as hard." 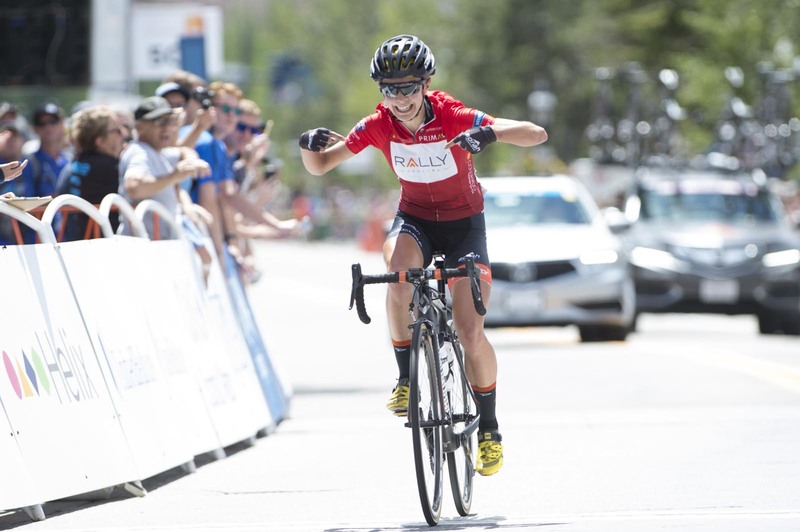 Poidevin took the lead in the Queen of the Mountains competition in Stage One, although the mountainous circuit around Breckenridge in the second and final stage would be decisive, with five steep ascents of Moonstone Road for a total 3500 ft of elevation gain. Poidevin struck early on lap two to claim more QOM points and then bided her time until the second QOM with two laps remaining. Despite the UnitedHealthcare squad having superior numbers, the young Canadian timed her attack perfectly and quickly gained a gap on her pursuers. On the final lap she dug deep and continued to put time into her rivals. With a two-minute lead at the finish, she raised her arms in victory, celebrating an emphatic win.